King's Gate of So Cal, Inc. Comment: Approximately 70-80 ft. of wood fencing 6 ft. height. would like warp resistant wood, dog eared, paintable. I can be contacted at xxxxxxxxxxxx. Would like this project started within 2-3 weeks. Comment: Repair broken wood fence using metal fence post. Comment: currently have wood fence, need something sturdy because my dogs are breaking the wood fence. Comment: currently have wood fence on both sides of the house separating the front and back yard, have dogs so i need something more secure and ascetically pleasing. San Bernardino Fence Contractors are rated 4.77 out of 5 based on 888 reviews of 17 pros. 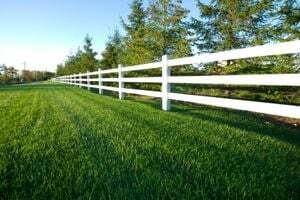 Not Looking for Fences Contractors in San Bernardino, CA?